Alvie Fitz doesn’t fit in, and she doesn't care. She's spent years swallowing meds and bad advice from doctors and social workers. Adjust, adapt. Pretend to be normal. It sounds so easy. If she can make it to her eighteenth birthday without any major mishaps, she'll be legally emancipated. Free. But if she fails, she'll become a ward of the state and be sent back to the group home. Her past stalks her with every step, and it has sharp teeth. But if she can find the strength to face the enemy inside her, maybe she'll have a chance at happiness after all. I enjoyed reading this book so much! I haven't read a lot of contemporary books lately because they usually are centered on personal problems, but wow, did this book throw me a curve ball! 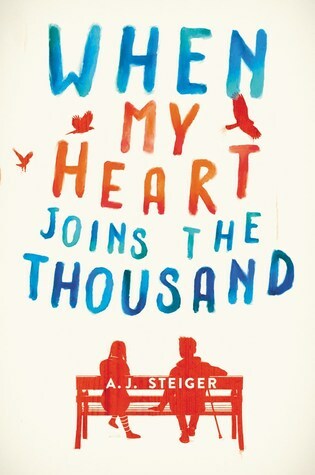 I loved this book starring Alvie and Stanley, both different and society doesn't know how to interact them. Seeing things from Alvie's perspective was really interesting. That a lot of human behaviour is much more complicated than animals. Wondering who decided what was normal behaviour and why because some of our customs just don't make any sense! One thing that really frustrated me, was the attitude of many of the people that Alvie encountered. From her boss to the judge who decided whether Alvie was emancipated or not, they didn't understand Alvie and what makes her different, and treated her pretty cruelly in ignorance. Bah! The whole situation with Chance and how it was the guys' fault, he wasn't supposed to go into Chance's cage and he knew that, that really sucked. The fall out from that, of how blow after blow happened and she was homeless, that was really hard to read! Things look up, and we learn more about her past, but yeah, she has some pretty hard times before things settle! Loved reading this book, it was so different and wonderful! Reason Why: Sounded good, and it's a SAC 2018 Book!